Flamenco! This traditional Andalusian dance is become part of Spanish folklore and culture, so that today it's also one of the most attractive experiences that tourists look for. But do you know which its origins are? Flamenco dance was born more than two hundreds years ago, but the first dances meant to evolve into Flamenco are actually dated back to the 16th century. Today this dance it’s part of Andalusian culture and folklore, but it’s been for a long time the musical outlet of the poorest and oppressed people. The word "Flamenco" comes from the Hispano-Arabic term fellahmengu which more or less means "expelled peasant", and even if today it’s directly associated to the Spanish culture its origin seems to be multicultural aswell. 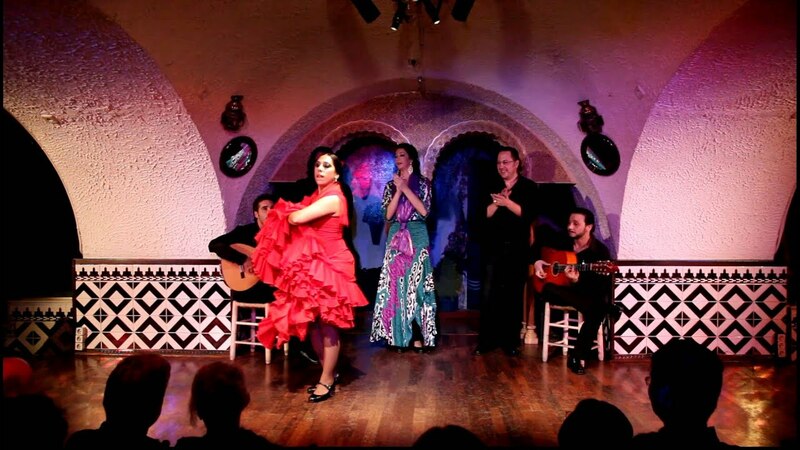 Among others, Jewish, Latin American, Moors or Arabs traditions are said to be part of the origin of Flamenco, but the main influence comes from the Gypsies. It’s said to actually be born in 1492 by the fusion of Gypsies songs -Canto Gitano- and Andalusian folk music -Canto Andaluz. Born as a poor tradition, Flamenco became public and famous for the first time around half of the 19th century, with the opening of the first Cafe Cantante in Seville. In the following decades these cafes spread from Seville around Spain and the same period the voice of the singer started to be accompanied by guitar. The cafes were essencial to expand the popularity of Flamenco, but during the second part of the 20th century they gave place to the new background of this dance: theaters. Nowadays Flamenco shows can be enjoyed not only in dedicated cafes or theaters, but also in restaurants, pubs or simply walking in the streets, since it's obviously become part of the touristic attractions aswell. The little places where Flamenco is usually performed nowadays are called tablaos, and can easily be found in all the main Spanish cities. During the centuries tons of different types of Flamenco were born, and each one is characterized by a specific melody and music, followed by a particular way of dancing it. Every region, but even every town, has its own variants of Flamenco, so that also different names might be used when referring to this dance, such as Sevillanas, Fandango, Rumba flamenca..
Flamenco is a tripartite art, since it involves the guitar, the voice and the dance simultaneously: these three elements complete each other to create one unique atmosphere, together with a rhythmic punctuation made with hands clapping or feet beating. This dance was originally accompanied by different instruments, such as violin, bells or tambourines, but today the guitar is the most common one. If you want to enjoy this colorful dance Andalusia is the perfect place for you, since here it’s not rare to accidentally see a Flamenco performances while walking in the city or going to drink something. The most famous occasion in Spain is probably Feria de Abril in Seville, since the city itself is where Flamenco was born. Anyway, especially during summer you can find a lot of Flamenco festivals around the whole region and the rest of Spain too, and the main destinations to enjoy it are Seville, Madrid, Granada and Malaga. Watching is good, but learning is even better: so, look for a teacher and start learning! Flamenco lessons can usually be taken alone or in little groups to save few money. This is not the easiest dance, so discipline followed by a lot of practice, practice and..practice, is what you need. Looking for it in Andalusian cities, you could also find some free lessons or special events where you can follow a lesson for free! The first characteristic usually associated to this Spanish dance is the magnificence of the dresses: colorful, sumptuos and entravagant seem to be the undeniable features of the trajes de flamenca. Once you have your dress or your skirt, the second step is picking up a lot of accessories to make it even more spectacular. A big flower in the hair, shoes, huge earrings, a mantoncillo and a fan. Let's face it: even if you can't dance Flamenco, wearing this dress and the accessories will already make you feel part of the atmosphere! 4 Places you should check out! Join more sale opportunities sharing safely your flat in Sevilla with students around the world. searching by university location or city zone.